One hot summer's day, John Cole decides to leave his life behind. He shuts up the bookshop no one ever comes to and drives out of London. When his car breaks down and he becomes lost on an isolated road, he goes looking for help, and stumbles into the grounds of a grand but dilapidated house. Its residents welcome him with open arms - but there's more to this strange community than meets the eye. They all know him by name, they've prepared a room for him, and claim to have been waiting for him all along. As nights and days pass John finds himself drawn into a baffling menagerie. There is Hester, their matriarchal, controlling host; Alex and Claire, siblings full of child-like wonder and delusions; the mercurial Eve; Elijah - a faithless former preacher haunted by the Bible; and chain-smoking Walker, wreathed in smoke and hostility. Who are these people? And what do they intend for John? 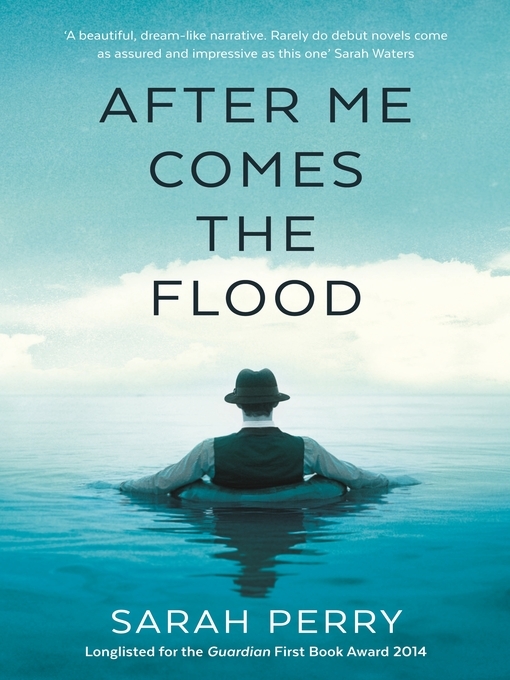 Elegant, gently sinister and psychologically complex, After Me Comes The Flood is a haunting and hypnotic debut novel by a brilliant new voice.